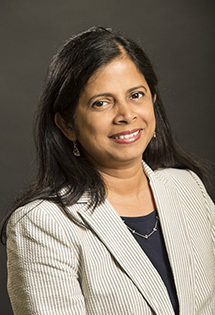 Raji Swaminathan is an associate professor in the Department of Educational Policy and Community Studies. Her research and teaching interests are in the areas of emerging methods in qualitative research, urban education and alternative education. Her scholarship utilizes historical and sociological lenses to examine and critique inequities in education as they relate to race, class, gender, sexuality and disability as well as to document exemplary practices in educational settings. Her recent projects have been in the area of leadership in urban schools with an emphasis on mentoring new principals, succession planning, social justice leadership and investigating what conditions allow for innovation or constraints for newly appointed principals.